Good sunscreens are incredibly important if you want youthful skin. Nothing ages the skin like harmful UV rays (besides stress, and a smoking habit). I really like this one by Shiseido. It is rich, thick and creamy; but sinks well into the skin without a sticky or greasy after feel. There is no visible white residue on the skin either. The moisturising formula – I use this when I need extra hydration on top of a lightweight oil – makes this a good makeup primer as well. Shiseido is one of my fave brands for sunscreens. 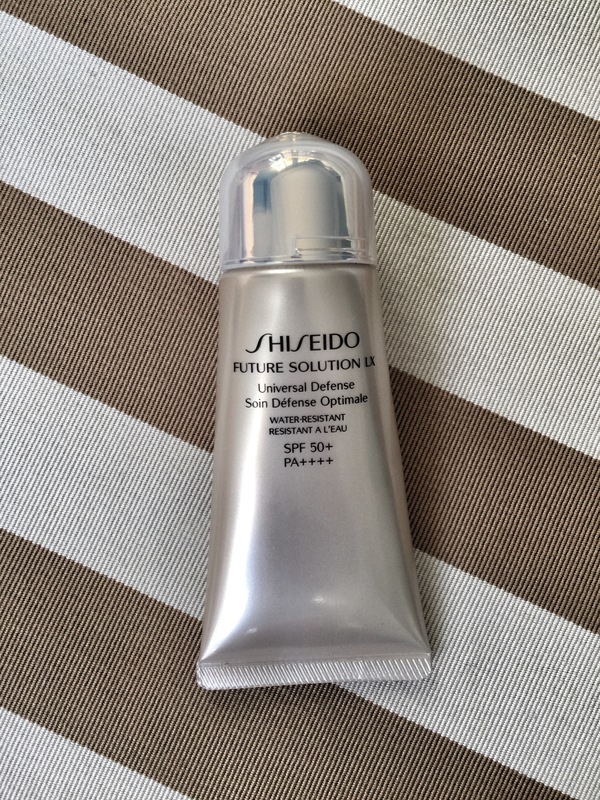 Because the Japanese are particular about the textures of their skincare, Shiseido always aces the difficult-to-formulate high protection sunscreen (which can end up thick, sticky, and leave skin with a white cast). The technologies used in their sun protection products blow me away too; their latest waterproof one protects the skin even more when it touches water (will share more on that in another post). Another reason why I love this product: the packaging. The cap is made with this expensive- looking pearlescent material with a gold insignia in the middle. Just makes me feel good every time I uncap the tube!